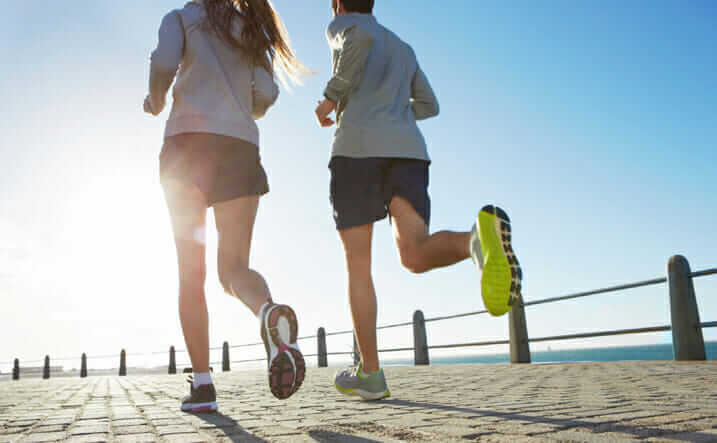 Dr. Alan Shih is the director of podiatry at Head to Toe Healthcare, and offer these 10 tips for runners to better protect themselves from injury. 1. Do not increase your mileage by more than 10% per week. The body grows stronger if it is stressed in small increments, but actually does the opposite and starts to break down it if is stressed too much. Increasing your mileage by no more than 10% per week will help you grow stronger without breaking you down. The other secret is to avoid increasing both duration and pace at the same time. 2. Always follow a hard workout with an easy one. The body is like a cell phone. If you continue to use it without recharging, it will eventually wear down. By incorporating easy workouts or cross training into your program, you’ll allow your body a chance to rest and repair itself. 3. Add strength training to your workouts. Many runners don’t want to focus on strength training, but cross training with weights is the only component that has been proved to reduce running injuries. Proper strength training can help you overcome muscle imbalances that lead to injury, as well as strengthen connective tissues that help support your joints. Pay attention to what your body is telling you. How do your muscles and joints feel? How does your breathing and heart rate feel? Are you straining to keep up your pace? Anything that doesn’t feel right maybe a sign of overuse and should be investigated. Keep a training log of not only your mileage, but how you feel during and after each workout. Fatigue over a period of a few days is a huge red flag that your body is trying to tell you something. 5. Respond to pain immediately. If you experience pain during or after a workout, follow the rule of R-I-C-E (rest-ice-compression-elevation.) Use an ice massage or cold pack for 10-15 minutes every 4-6 hours to relieve inflammation and swelling. Elevation is also quite helpful in the first 48 hours. Apply a compressive wrap and hang out on the couch for a few hours and rest. After 48-72 hours, if the inflammation has subsided, apply heat to promote the healing. 6. Do not take pain-relief medication to push through a workout. Non-prescription anti-inflammatory medications can reduce inflammation and pain, but they do not speed healing. Taking anti-inflammatories prior to a workout may decrease your discomfort and allow you to finish a workout, but they also allow you to overstress already damaged tissue. This can prolong the healing process. Pain is a sign you should not ignore. 7. Choose relative rest over inactivity. Active rest, or easy exercise, is better than inactivity because it stimulates blood flow and promotes healing. If slow running is painless, but picking up the pace in painful, then stick to slow running until you feel better. 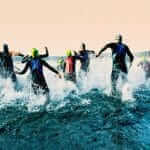 Or, do other activities like swimming, cycling, or aqua running until you can run pain-free. 8. Don’t wait too long to get professional help. If your pain does not respond to a week of R-I-C-E and cutting mileage by at least 50%, see a sports medicine specialist. Not only can a professional help you diagnose and treat the condition, but they may also help you correct any biomechanical abnormalities that can lead to recurring injuries. Your immune system fights injuries with a complex army of nutrients and special cells. But, your immune system doesn’t work alone. Your mind also has a voice in what goes on. Attitudes and feeling are organized in your brain to communicate with your immune system with chemical messengers. A positive attitude can go a long way to help speed healing. 10. Ease back into your regular training program. Remember, too much, too soon, too fast is probably what hurt you in the first place. It’s tempting to jump right back in where you left off, but your injured tissue may not be fully recovered. During the first few weeks back is when most people get re-injured. Use the 10% rule to ease back into your routine.